Mark Twain, who was often photographed with a cigar, once remarked that he came into the world looking for a light. 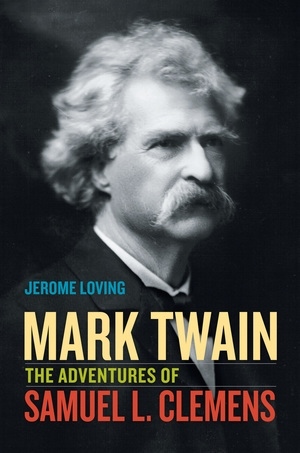 In this new biography, published on the centennial of the writer’s death, Jerome Loving focuses on Mark Twain, humorist and quipster, and sheds new light on the wit, pathos, and tragedy of the author of Adventures of Huckleberry Finn. In brisk and compelling fashion, Loving follows Twain from Hannibal to Hawaii to the Holy Land, showing how the southerner transformed himself into a westerner and finally a New Englander. This re-examination of Twain’s life is informed by newly discovered archival materials that provide the most complex view of the man and writer to date. Jerome Loving, Distinguished Professor of English at Texas A&M University, is the author of Walt Whitman: Song of Himself and The Last Titan: A Life of Theodore Dreiser, both from UC Press.